For the last three years [my daughter], has been slowly dying. Although she is sixteen, she weighs as much as an eight-year-old. Her hormone levels are those of a post-menopausal woman. We have tried everything the medical system has to offer - psychologists, psychiatrists, family therapists, dieticians, drugs ... but nothing has worked. And now here we are, she and I, flying to the other side of the world in a last ditch effort to save her. Anorexia is a difficult thing to get people to understand. Usually they will look at me incredulously. Sometimes they will come right out and say what I know they are thinking: Why can't you just get her to eat? Anne Tonner, a high achieving human rights lawyer and mother of four, is used to facing battles and winning. But when her 13-year-old daughter Chloe stops eating and is diagnosed with anorexia, she is confronted with the mother of all enemies, one that is completely unfathomable and seemingly incurable. 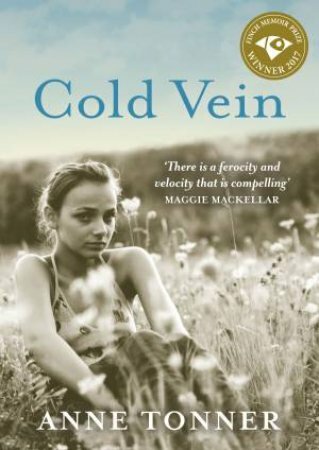 Anne and her family throw everything they have at helping Chloe face the 'demon' they name 'Cold Vein'. But some three years later Chloe is still ill and desperately close to death and the family is in tatters. Anne is in danger of not only losing her daughter but her whole family as well. In a last ditch effort they travel across the world to attend a clinic in Stockholm, knowing that this may be the only chance Chloe has to survive. Beautifully and engagingly written, Anne's depiction of the devastating effects of anorexia has not only for the person who has it, but those around them, is honest, tough and compelling. Ultimately uplifting, this story will shed light on one of the most insidious and dangerous mental conditions.